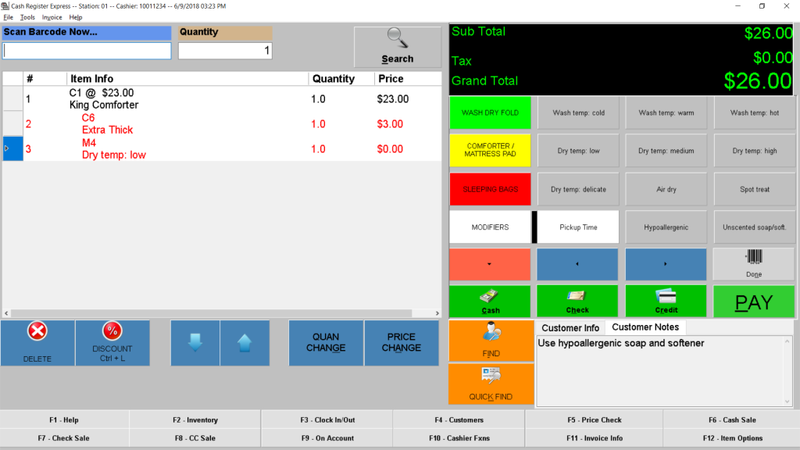 Users have quick access to laundry by the pound (such as clothing), laundry by the item (such as comforters or specialty items), and retail items in our simple menu. Each line item (such as 20lbs of laundry or 3 horse blankets) can accept any special instructions as 1-touch modifiers (such as “Spot Treat” or “Air Dry”). You can also type specific instructions on the ticket (such as “Spot treat the blue polo”). 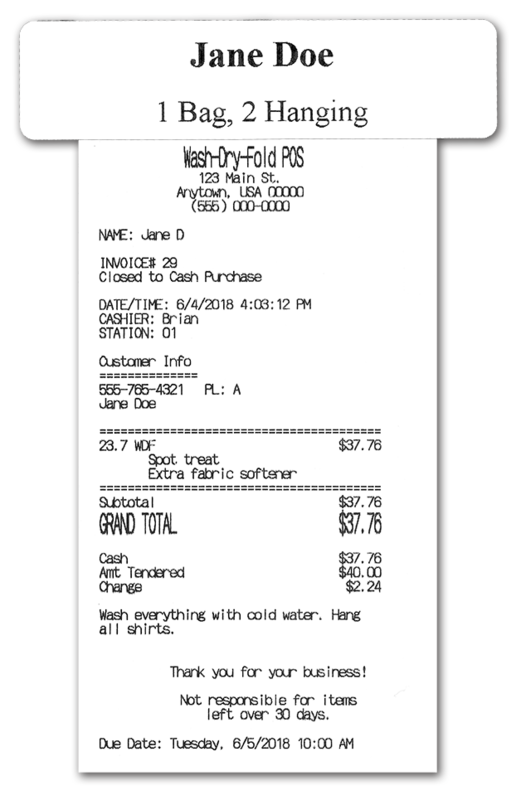 Customer Notes (such as “Hypoallergenic Soap Only”) automatically print on tickets so that they can’t be forgotten by customers or attendants. Fragile items trigger a disclaimer that prints on the receipt and can even prompt for a signature. 75+ reports allow you to view revenue by item, customer, salesperson, etc. Receipt and Sticky Label with Disclaimer for Fragile Item and Address for New York residents.